In the distribution of stock, the centres of distribution play an important role, because they sustain the necessary reserves for the fast contentment of the clients' requests. The delivery to the distributional centres is done by A Logistics. Besides that, we offer our own centres for stock storing with contemporary equipment and with usage of new technologies, which increase the speed and the efficacy of the fulfilment of the orders. At the stores there are picking stock and its completing for their dispatching to already ready consignment stocks. Both picking and completing are inwardly-storage operations. Contact us for any questions relating to the commissioning, storage and loading of your goods during transportation. The picking is stock taking from storage and their transferring to different transport means for their transportation to storages and stores. Together with the consolidation of the stocks in consignments for their dispatching in different directions and to different clients, picking is a service from A Logistics, which is becoming more and more often demanded by tradesmen, which are interested in distribution of stocks. Depending on the place, in where the stocks and the transport means are, two kinds of picking. In the first one the principle is, “the man to go to the freight“, and in the second – “the freight to go to the man". In the completing of the shipment is done the so-called stocks control. Depending on the necessity for the different kinds and consignment stocks, must be done weighing, sorting, packing and signing the already formed shipments. Both picking and completing are done in the places, where the stocks are stored - the distributional storages. Their fulfilment can be consecutively, just like the completing is done after picking, but they can also be done at the same time for bigger speed and of forming the consignments for their sending. 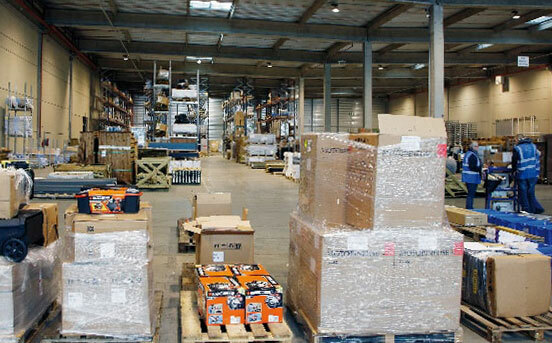 With the organisation of the forming of the consignments, A Logistics accomplishes forming of the needed amounts stocks in packages, which are delivered to stores and storages within fixed days. Another important aim is achieving the possibly shortest prices for these services. In those two activities, usually a big number of stock or amounts are proceeded. Besides that, the number of the clients' orders for picking and completing is also big. The Specifics of the operation included in both activities doesn't give the opportunity for automatization. During the proceeding of the stocks for sending, is proceeded a very big variety of stocks relating the sizes, packings, forms etc. That's why A Logistics allocates enough specialists to occupy themselves with these activities. The operations themselves of moving the pallets with stocks and the load-unload operations are mechanized and when possible, automatization is applied too. That's how A Logistics reduces the time for proceeding and sending the consignments.